Posted on November 20, 2014 by Michelle M.
They require 2 AAA batteries. Collect them all! This entry was posted in Budgie Buys and tagged budgie, budgie buy. 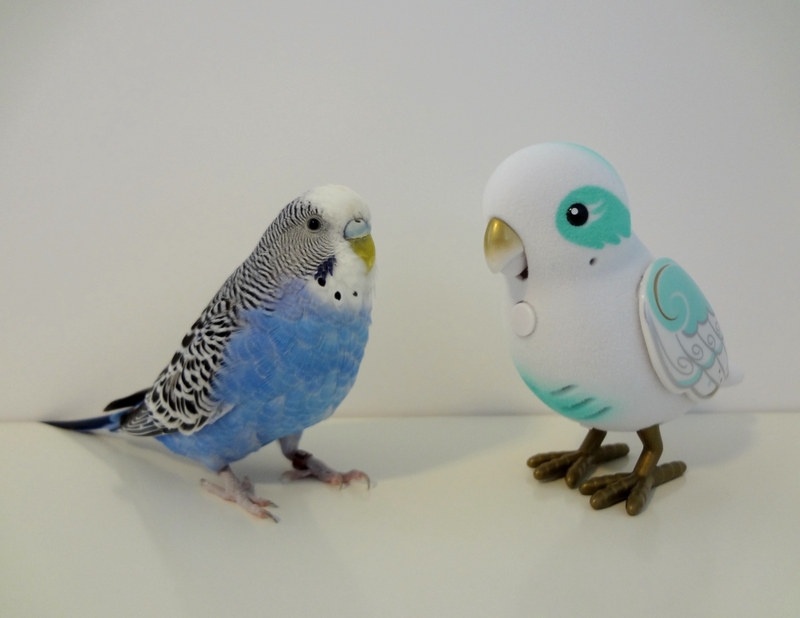 Little Live Pets, budgie toy, Cooper, parakeet by Michelle M.. Bookmark the permalink. Obviously, they misspelled “Cool Cooper”. Sheesh. Got her colors wrong, too. 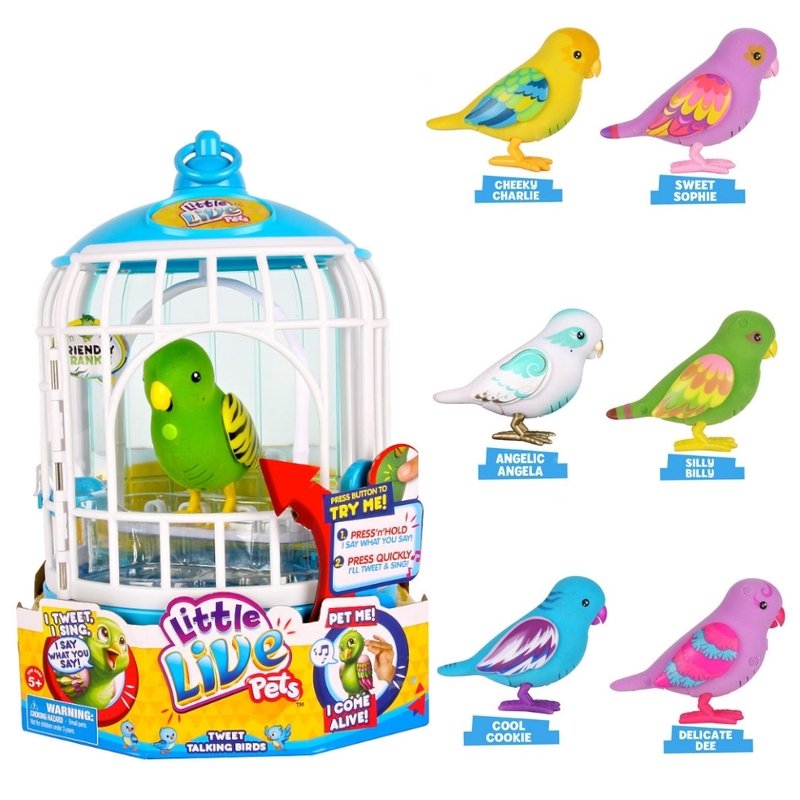 They are much cheaper at Target ($9.99) than they are online. These are cute! 🙂 Not even remotely as cute as a real budgie, but still. Oh no they have one that looks like Bert and Ernie, dang it, I may have to get one! !